Airport transfers in Kingston are speedy, on-time, efficient and also very reasonably-priced. These features make Kingston airport transfer service the best in the city and accessible to all at any and all hours of the day. 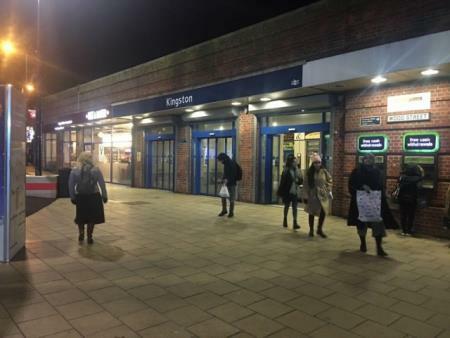 Along with the airport transfer in Kingston, our taxis also provide a multitude of additional service that include railway station transfers, school and college runs, tours and sightseeing service, corporate day rentals and pick and drop service to any location. Kingston Mini cab service also brings to you a choice in fleet featuring an assortment of vehicles that includes MPVs, Executive Cars, Estate Cars and Saloon Cars. Kingston minicabs are the best in the city and trusted to never compromise on the standard of the service they provide by executing their duties with a lot of hard work and determination. We never compromise on quality; however can keep our fares reasonable, consistent and minimal. Your satisfaction is our priority.